The historic news out of Washington, as it affects the world of finance and investments, is the Department of Labor’s passing of the Fiduciary Rule on April 6th, 2016. After a good deal of back-and-forth with the industry, rule makers at the DOL came to a final, enforceable statement. 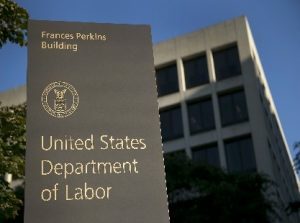 Effective June 7th (alongside some longer term phase-ins), all advice given to investors under DOL covered accounts (generally speaking, IRA rollovers and 401k retirement plans) must meet a higher fiduciary standard than what was previously in place. This is important to investors in that the DOL is attempting to curb abusive practices in retirement savings vehicles, including inappropriate products and conflicted advice. The Fiduciary Rule brings a “Best Interests” standard to 401(k) plan assets, individual retirement accounts, or other qualified monies saved for retirement. A “Best Interests” standard is a much higher standard than the typical less stringent “Suitable” standard most “broker-dealers” currently abide by. So what does all this mean? Sadly, due to a number of available exemptions, many practices will still continue, including the sale of highly commissioned and proprietary products. For the few of us Registered Investment Advisor (RIA) professionals who have already (and always) been held to a “Best Interests” fiduciary standard, there aren’t any major changes. And as expected, the broker-dealer industry is already fighting back against the rule, claiming that providing “Best Interests” advice will somehow be prohibitively expensive, and is lobbying congress to overturn the rule. This likely won’t amount to much of anything and the consensus is the rule is here to stay, at least for retirement accounts. Please note this rule does not cover non-retirement assets, where broker dealers remain free to sell high-commission products to unsuspecting investors. Americans have now won hard-fought protections regarding the quality of their retirement account advice. Now it’s up to the nation’s Non-RIA financial advisors to decide whether they’ll meet the letter — and spirit — of the historic investor protection regulation. This entry was posted in Economy and tagged DOL, Fiduciary Rule, RIA. Bookmark the permalink.